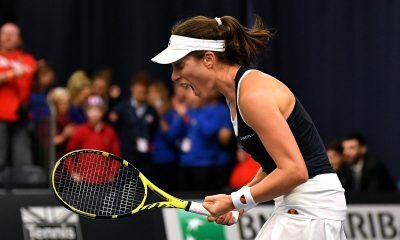 Johanna Konta hung on to secure a tense three-set win over Anna Bondar that booked Great Britain’s place in the play-off against Serbia. 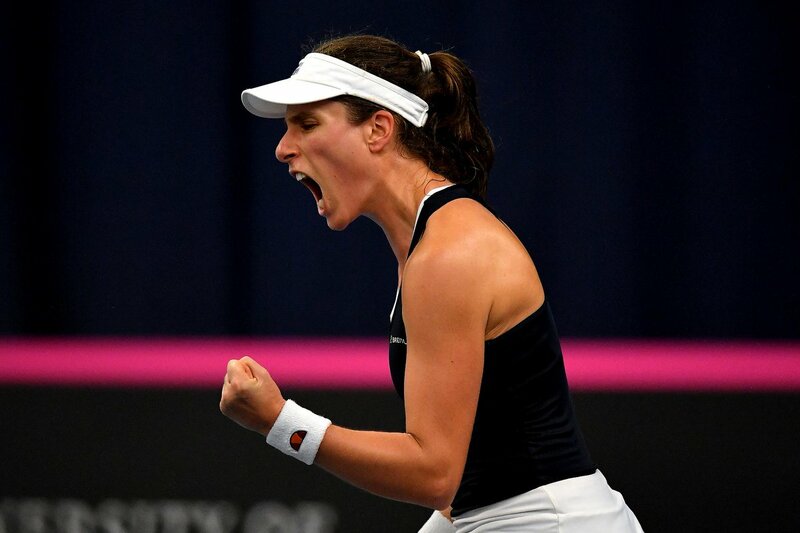 Johanna Konta battled to a 6-2 6-7(1) 7-6(4) victory over Anna Bondar to secure Great Britain’s in the play-off against Serbia tomorrow. The Brit, 27, drew on every ounce of determination to withstand the brilliant assault from the Hungarian in the second and third sets. It made for a compelling, if predictable, spectacle, as Bondar went for everything when serving and returning. Konta dug in, mixed up her approach and eventually outlasted her. 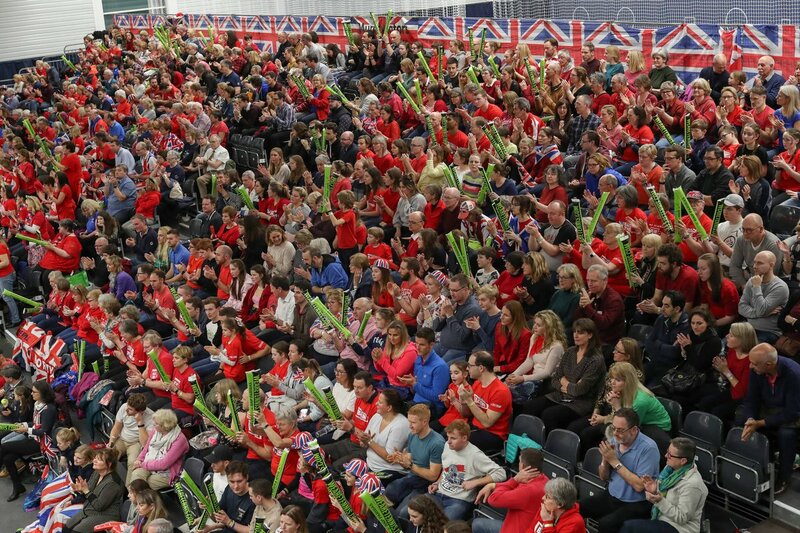 In the first set, it looked like it would be comfortable win for the British number one when she took the first set against Anna Bondar 6-2 in just 31 minutes. But nobody foresaw what happened next. The Hungarian, 21, who is ranked 224 in the world and competes almost exclusively in ITF events, raised her level to new heights. Consequently, the second set was extremely competitive. Bondar saved three break points in the first game and then served impressively to stay level with Konta at 4-4. The Brit then earned three break points at 0-40 on the Hungarian’s serve and it looked like the match was as good as over. However, Bondar was having none of it. She saved all three, as well as a fourth, and then held again to take the set into a tie-break. The Hungarian then played an almost-perfect tie-break. 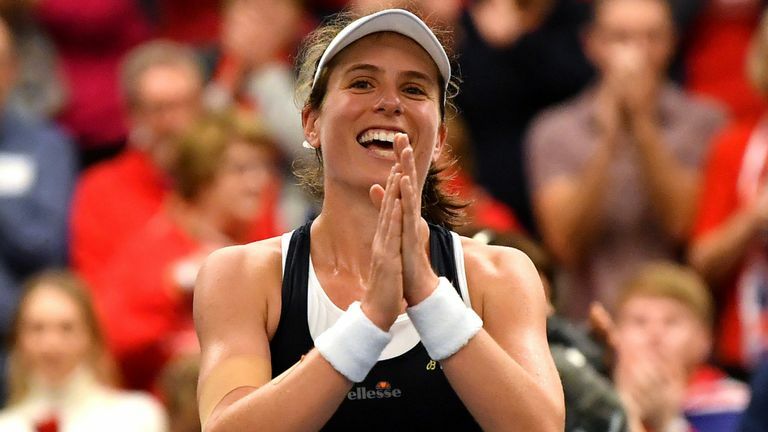 She won it 7-1 in front of an increasingly astonished audience to take the match to a decider. Nothing much changed in the final set. Bondar carried on playing superbly and Konta stuck with her, and consequently it went all the way to a tie-break once again. At this stage, the Brit did not take any risks. She hit the ball hard, but well inside the court, and the Hungarian made just enough errors to give Konta a hard-fought win. “The reason why I was on the ropes was because she played amazing tennis,” the Brit said in her post-match interview. Boulter’s match was almost as dramatic, and it followed a similar pattern. It looked like she would win easily when she raced into a 5-1 lead in the opening set. However, Galfi has demonstrated to everyone what a good player she is with emphatic straight-sets victories over Kaja Juvan and Valentini Grammitikopoulou this week, and she suddenly found her rhythm and started to fight back. At the same time, the Brit suffered a slight dip, and the Hungarian quickly dragged the score back to 5-4. The next game was a nervy affair. 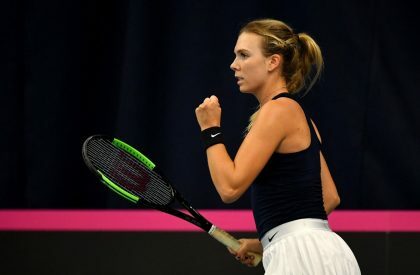 Boulter earned six set points, but repeatedly missed her first serve when she tried to take advantage, and Galfi capitalised to return the score to deuce each time. The Brit missed her first serve again on her seventh set point, but the Hungarian finally sent a ball long to give her opponent the first set. After an early exchange of breaks, the second set was totally dominated by serving. Both players held easily to take it to a tie-break, and there were six love holds along the way. Boulter slipped 3-1 behind in the tie-break, before responding well to move 4-3 ahead. However, Galfi sent down a few huge serves and got the mini-break she needed to win it 7-5 and take the match into a decider. The decider was unbearably tense. Boulter fell a break behind at 3-2 and looked very tired. But she showed against Grammatikopoulou that she will never give up, and she drew on that same fighting spirit once again to break back immediately. Both players had a couple of chances to break in the next two games, but neither managed to take advantage of a break point, and they did not get any more chances before the scoreboard rolled along to 6-6. This is when Boulter showed why she is seen as a rising star in the world of tennis. Despite her fatigue, she played a near-flawless tie-break to win it 7-1 and secure a priceless win. As it was late at night, the tie was already over, and it would not have changed anything in the group table, the doubles was cancelled. Earlier in the day, Serbia beat Croatia 2-1 in a thrilling tie. 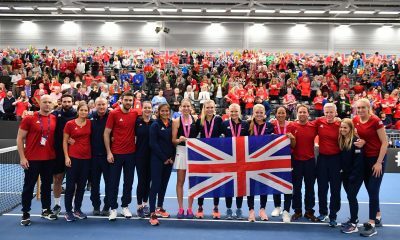 Olga Danilovic, 18, was the star – she edged out Jana Fett 2-6 6-2 7-6(7) and then partnered Aleksandra Krunic to a 1-6 6-1 6-4 victory over Darija Jurak and Ana Konjuh in the decisive doubles. In between those matches, Donna Vekic underlined her status as Croatia’s No.1 when she beat Krunic 1-6 7-5 6-1.